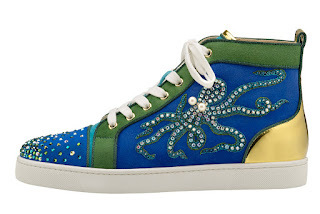 Christian Louboutin's Louis octopus sneaker in velour and patent, $2,395. .
Hey Guys come in here..we've got something for you.... Christian Louboutin is bringing nautical fashion to new heights. 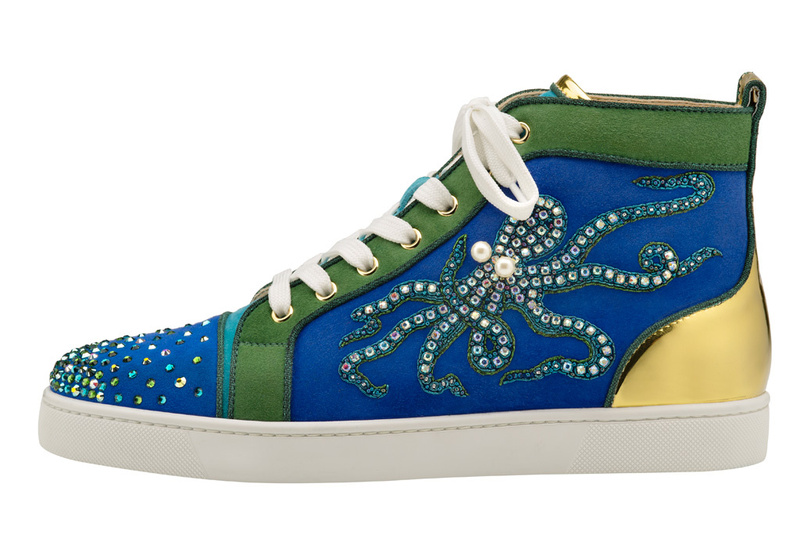 For spring ’16, the luxury label is launching two men’s styles embroidered with an octopus design. The styles, which will arrive in June, feature Louboutin’s signature luxe materials. They feature hand-applied pearls and Swarovski crystals. 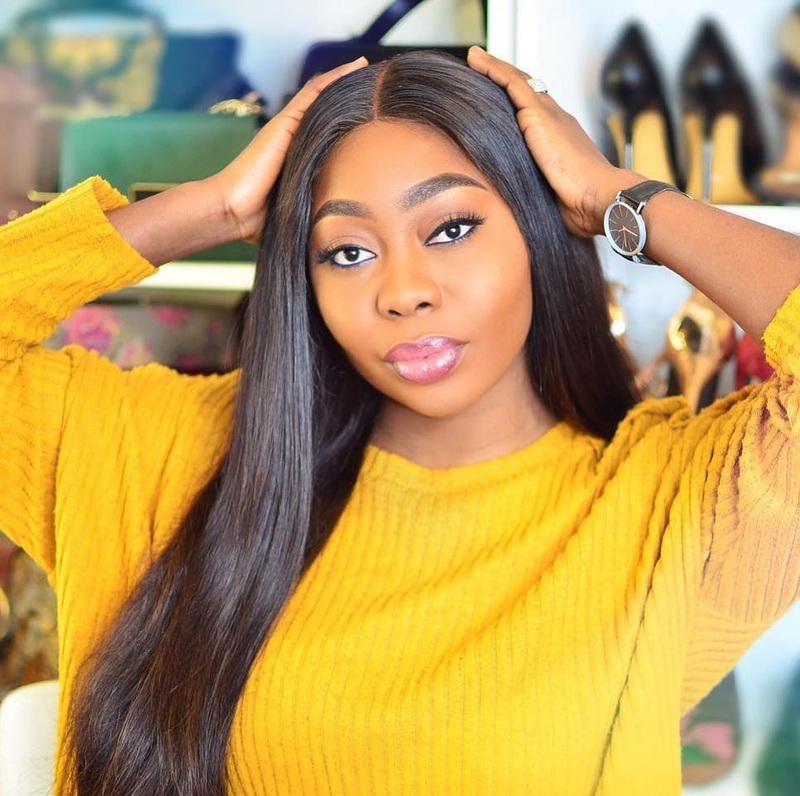 Both shoes will be available at Christian Louboutin’s men’s boutiques and e-commerce website. The two Dandelion loafer styles, in blue or black velour, will retail for $2,195, while the patent and velour Louis sneaker will be $2,395. 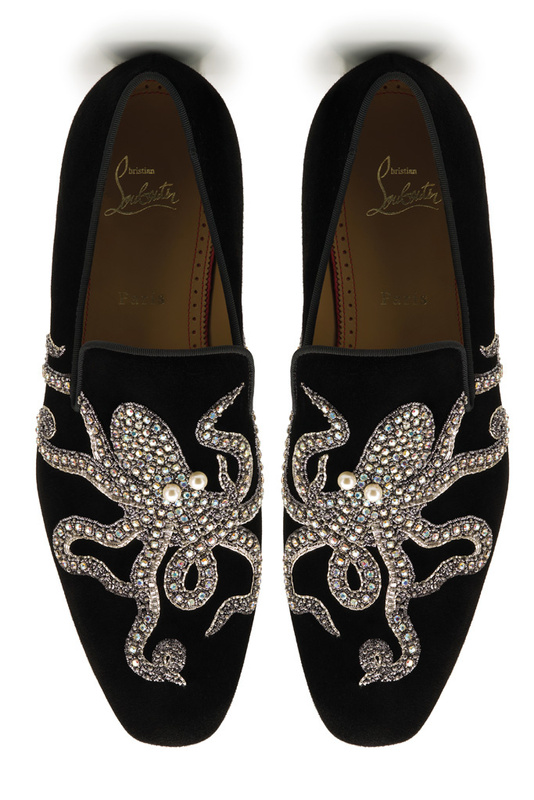 Christian Louboutin’s Dandelion octopus flat in velour, $2,195. Labels: Christian Louboutin, Embroidered Octopus. 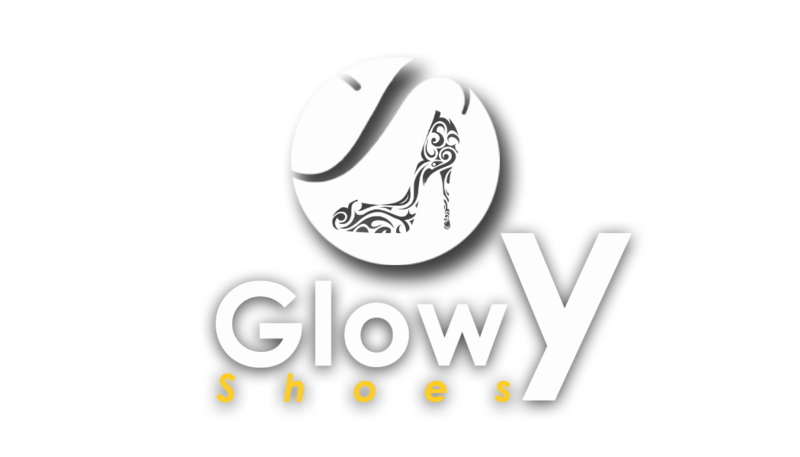 Men’s Shoes. Those sneakers are my personal favorite.